1. 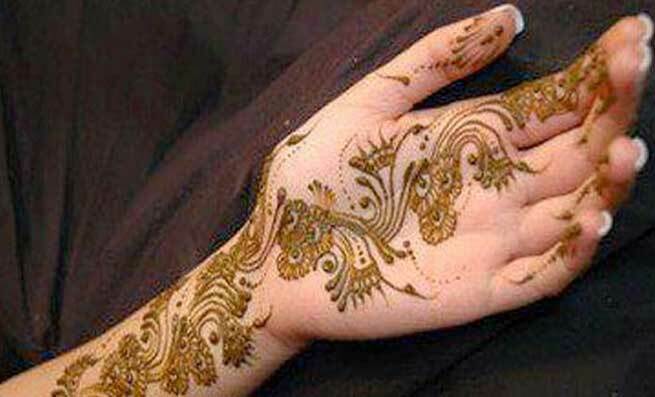 Arabic Design – One of the most exquisite Mehendi designs, Arabic henna art is famous for its intricate detailing and floral pattern. 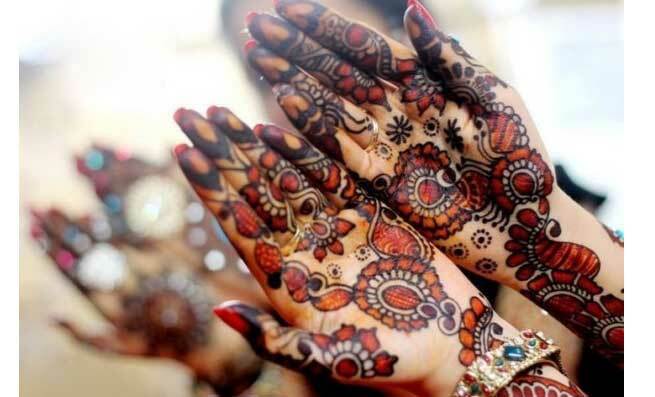 Go for Arabic Mehendi this Karwa Chauth, if you do not want your hands to look filled. 2. Rajsthani Design – The most favorite design among brides of India, Rajsthani Mehendi includes great peacock motifs, flowers and leaf structures. 3. 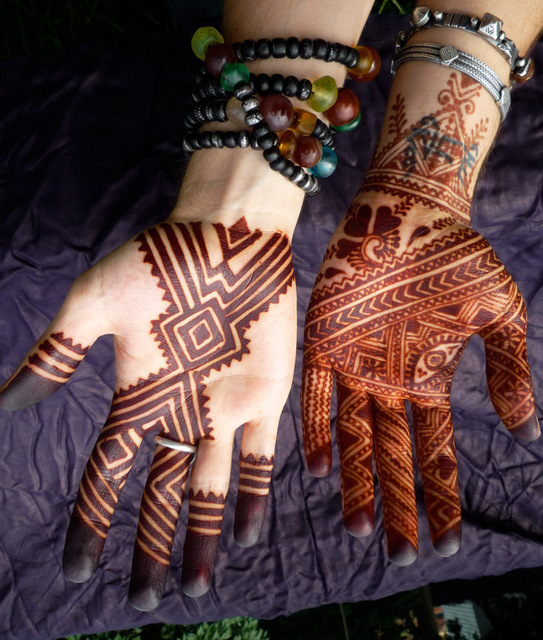 African Mehendi Pattern – Giving prominence to geometrical shapes, African henna designs are highly popular nowadays. 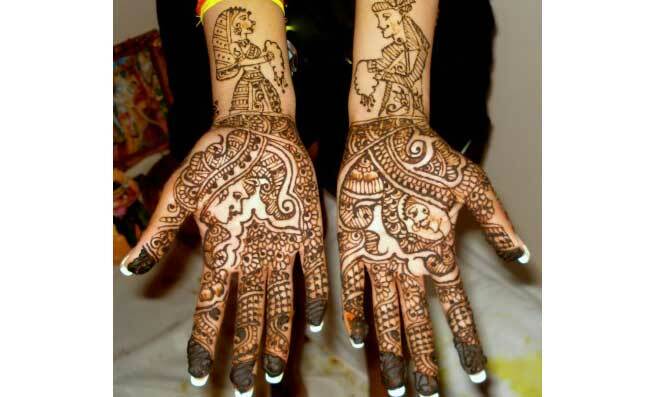 If you are looking for a Mehendi design that looks different and beautiful, African Design is the best choice. 4. 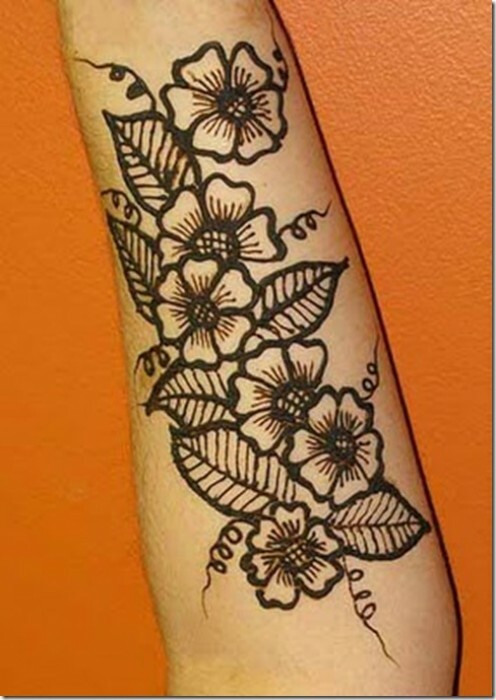 Glittery Mehendi – How about getting a Mehendi tattoo with some glitter on it. This is the latest Mehendi art. 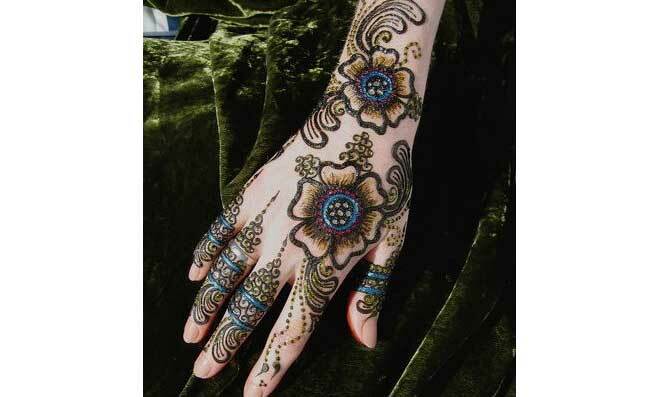 Immensely popular among newlyweds, glittery henna art will surely complement your striking Karwa Chauth look. 5. 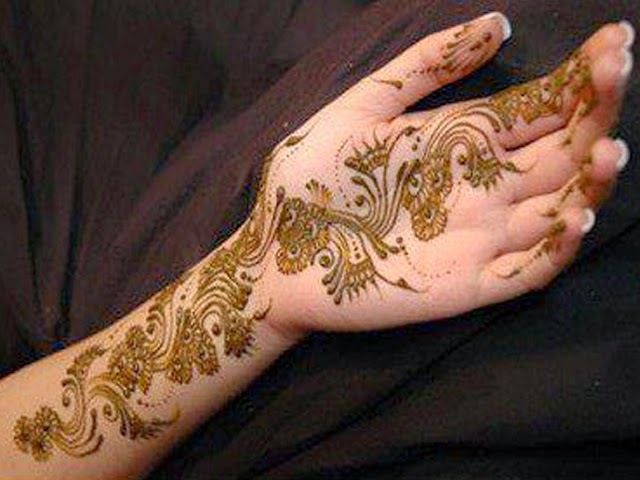 Pakistani Designs – Pakistani females are as fond of henna tattoos as Indian girls are. 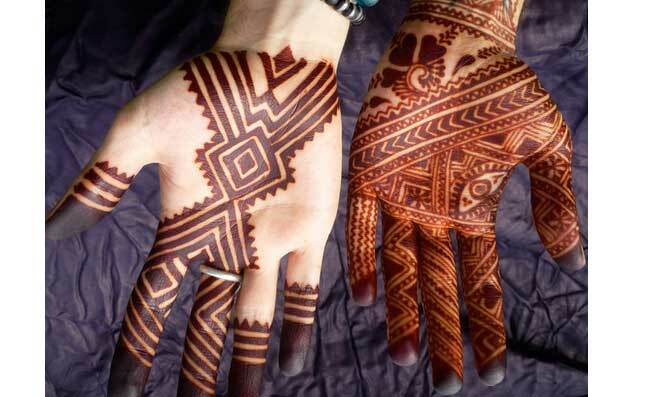 Although, their Mehendi designs look pretty similar to our Mehendi patterns, they pay more attention to completely fill the hand with different designs. 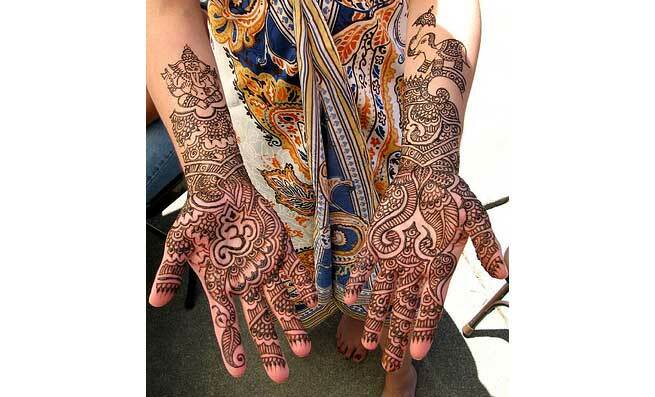 You can easily find popular Indian henna patterns such as paisley and peacock motifs in Pakistani Mehendi arts too. 6. 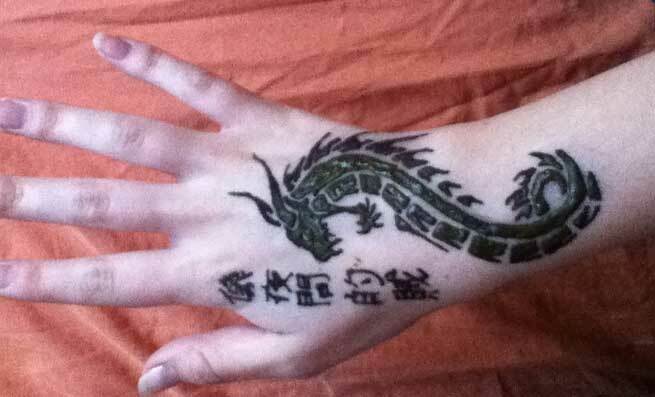 Chinese Mehendi Designs – Enthrall your hubby this Karwa Chauth with an amazing dragon beautifully carved on your hand. Going Chinese is quite different and fashionable. 7. 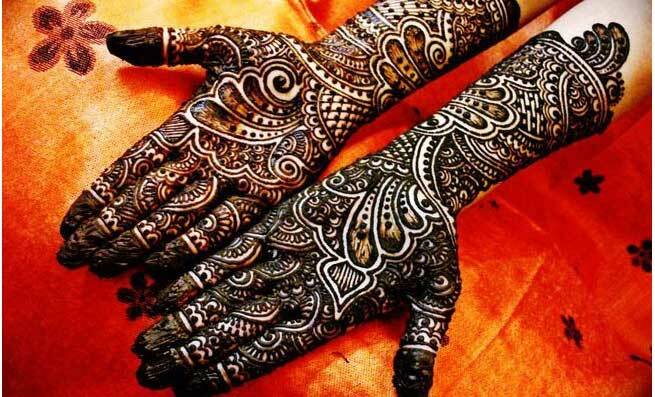 Shubh Mangal Mehendi style – If you want your Mehendi design to speak about your religious faith, going for Mehendi designs carved with Mangal Kalash, OM or Swastik can be an ideal solution for you. These signs are considered very propitious. 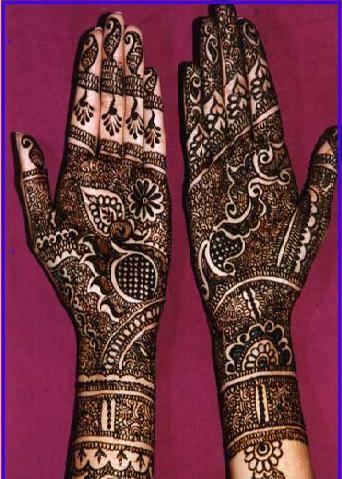 Having them in your Mehendi design can make your marital life equally blissful. 8. 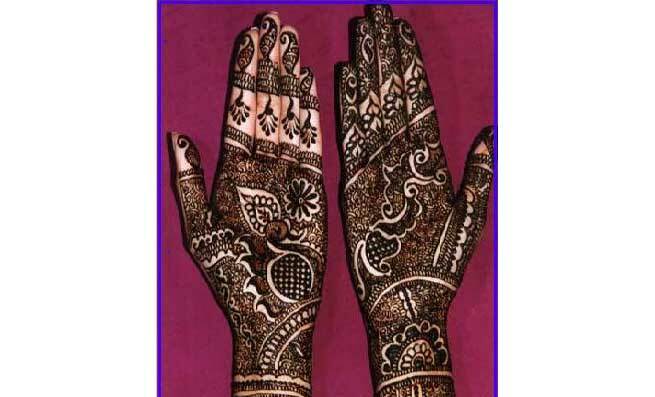 Mehendi Design with Bride and Groom – Karwa Chauth is all about refurbishing your married life. Why don’t you make it more exciting by getting the same henna tattoo which you got in your marriage? 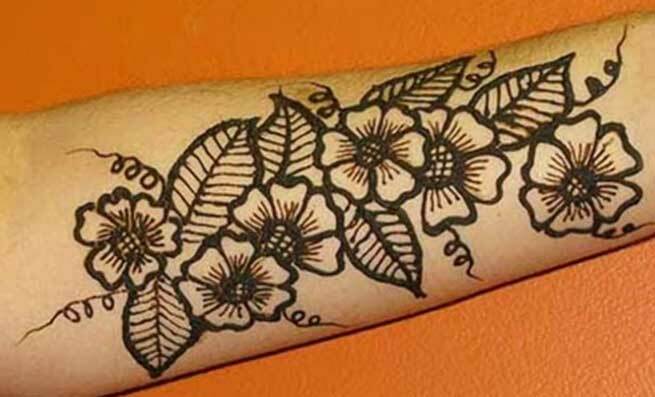 A Mehendi design drawn with bride and groom will go best with your taste. 9. Go floral – Give a fresh blow to your hand adornment with some cute floral designs. Flowers are always in vogue. 10. Going classic with a big dot – Do you remember the famous song from a Kareena Kapoor and Tusshar Kapoor starrer bollywood movie? A full moon design of one-rupee coin circumference right in the middle of your palm will bring the grandeur of the classic era back. If you want to make it little more attractive, decorate the henna circle with small intricate designs.